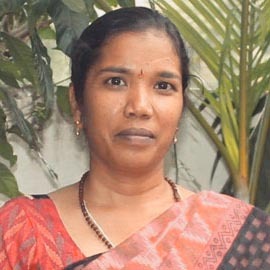 level yoga teacher and practitioner with our 300 Hour Yoga TTC. Delve deeper into the ontology of yoga and its divinity. Establish yourself as an evolved yoga teacher and practitioner by the taking the next step towards it. 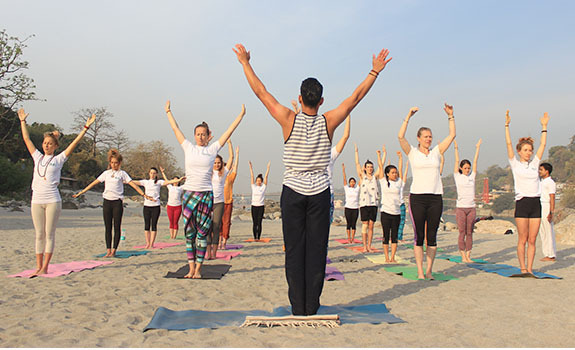 Rishikul Yogshala offers the incredible opportunity to all the 200 Hour YTTC graduates to come explore the treasures of yoga and spirituality on a much-advanced level with our 300 Hour Yoga Teacher Training Certification. WHY ATTEND 300 HOUR YOGA TTC PROGRAM? Thousands of people gather at Rishikul to quench their thirst for learning the majestic science of yoga in its purest form. The 300 Hour Yoga program at Rishikul Yogshala is designed with the purpose of helping basic-mid level yogis, practicing individuals, and 200 Hour Yoga teachers further enhance their skills and expertise of the science. The aim is to help these passionate yogis advance their practices towards the higher attainment of the art form. The program is imparted by highly experienced Yoga Acharyas at Rishikul Yogshala, who specialize in 300 Hour and 500 Hour Yoga programs along with being the masters of the traditional forms and the discipline. WHO CAN ENROLL FOR 300 HOUR YOGA CERTIFICATION PROGRAM? The training is an extended and expanded version of beginner’s level – deeper theory and intense practice. By the end of the 4-Week course, you will be able to gradually build up to a deeper level of training. The 300 Hour course is perfect for advanced level yogis who want to brush up on their fundamentals whilst surrounding themselves with like-minded yogis for an enjoyable learning and growing experience. Are an existing yoga professional and teacher and aspire to further enhance the teaching skills and wisdom of the art of teaching higher classes. Rishikul Yogshala is ideal for those who have the curiosity to learn yoga in its most authentic and traditional form. The physical aspect of yoga by adding deeper holds and stretches in the Ashtanga and Hatha. The theoretical world of yogic science by learning new techniques and mantras. More teachings of yoga philosophy and imbibing the practical implications of the various yamas and niyamas, as discussed in the Yoga Sutras and Yoga Upanishads. Higher level of practice of Pranayama and Meditation techniques. Learn to modify the asanas and series for delivering target benefits. Move through each poses with perfection my making use of various props, proper adjustment and alignment techniques. The ability to perform each asana safely while avoiding injury. Ayurveda practices and detailed applications of the various yogic purification techniques. 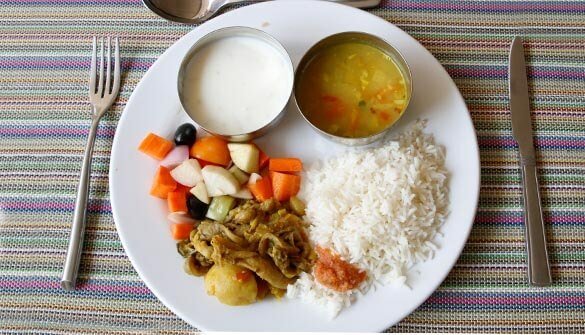 Practical knowledge of cooking wholesome ‘sattvic’ food during our Yogic Cooking Classes. Fun with yoga with laughter yoga session and yoga dance classes. Led by refined, experienced and traditionally trained yoga teachers from India, you will blossom into strong yoga practitioner and teacher during the 4 weeks of intense training. For those who are looking to be immersed in both the physical and spiritual world of yoga, this is the ultimate path. WHERE TO EARN THE 300 HOUR YTTC? Rishikul Yogshala acknowledges every single concern to ensure a complete yogic experience of healing and wisdom. 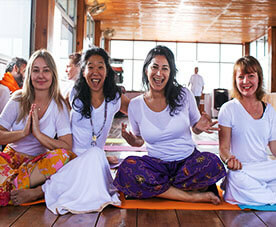 Rishikul Yogshala conducts the 300 hour YTTC program at some of the most soulful destinations on the globe. Every program is performed under the special guidance of experienced teachers and gurus. To add more, the scenic beauty is simply breathtaking and irresistible to perform yoga. The locations bring back the lost peace of your mind. 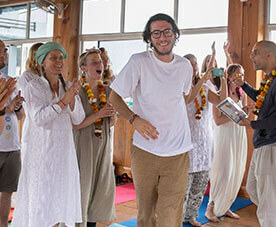 Rishikesh is the homeland of yoga and erudite. It is widely known for its spiritual and divine environment. One of the major reasons for this popularity abroad is due to the significant relation of the holy river Ganges with this place. The Himalayan ranges embrace you with its beautiful breezy and shady environment. Considering all the town’s yogic assets and the blissfully inspiring beauty, Rishikul Yogshala has set-up its headquarters here. People who are looking to completely immerse in the traditional holiness of the science while being in a breathtakingly beautiful and equally humble environment are most welcome to enroll for the beneficial 300 Hour Yoga TTC in Rishikesh. India’s most traditional and ritualistic approach begins from Kerala. The land of Kerala is loaded with lush-green landscapes, forests, serene beaches, and bountiful of nature’s precious and most ancient gifts of natural healing. Some of the most popular Ayurveda and Yogic gurus originate from here. Rishikul Yogshala is another reason why most yoga students plan their visit to study Yoga in Kerala. It is based on the pious and emerald beaches of Varkala in Kerala. The country of Nepal needs no introduction. Eminent for its snow-white mountain landscapes, highest trekking sites, traditional temples and monasteries, the country of Nepal offers the perfect solace for enhanced yoga and meditation practices. The agro-cultural country has time and again welcomed several saints and yogis who have been wandering the earth in search of peace and enlightenment. Owing to its breathtakingly fresh and natural environment combined with the traditional holiness, the valley of Pokhara in Nepal has become the second home for us. Our teachers travel from India to impart the yogic teachings and share their majestic experiences on the land of Rishi Nemi, the country of Nepal. WHY ARE WE SO HIGHLY RECOMMENDED FOR THE 300 HOUR YOGA PROGRAM? 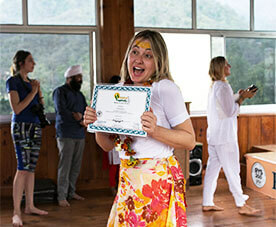 We are a globally certified yoga school with recognition from Yoga Alliance USA and Yoga Alliance International. With that being said, on successful graduation from our 300 Hour Yoga program, you are awarded the liberty and the privilege to continue the yoga journey as 300 Hour Yoga teacher and practitioner. Acquire the theoretical and practical aspects of traditional forms of yoga on a much-enhanced level under the shadow of highly experienced teachers of Rishikul Yogshala. Our teachers are paradigms who represent the honored and blissful life of a yogi. Let our teachers and mentors guide you at every step of the way. Our teachers do not go by the time frame when it comes to guiding their students. They are always here for you as your shadow whenever you feel stuck or need guidance. 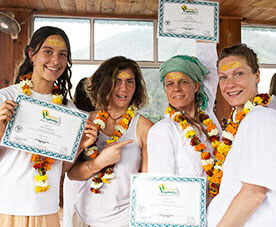 Even after graduating from the program, you are always welcome at Rishikul Yogshala. Rishikul is like the second home to most of our students as we foster a very comfortable atmosphere in our schools so the students can blend well. 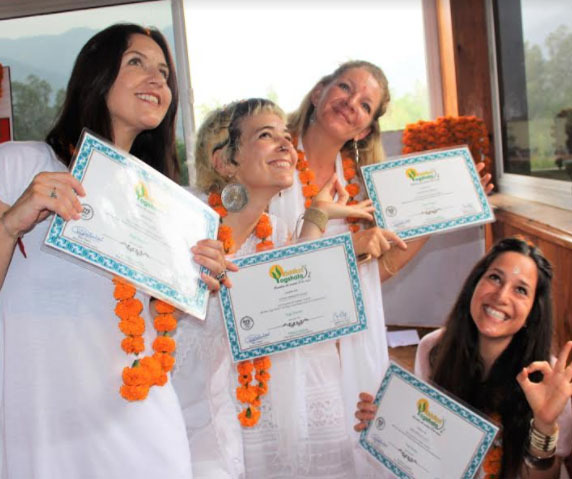 Here, you shall get a chance to meet and seek support from the yogis and yoginis who come to Rishikul Yogshala from across the globe with the aim to transform into advanced practitioners. The network of like-minded yogis that you connect with will be an unexpected but most cherished by-product of the experience, one that will make you want to return to us time and time again. The connection and bond with the teachers will become stronger and your path will become clearer, focusing more on your desired field as well as in your daily life. We offer our students ‘more than just training’. We take you through a complete internal process, an experience that becomes the strongest element of your definition as a human being and a yogi. This will be an opportunity to grow in ways never imagined; physically, mentally and spiritually. Overall the course will increase open-mindedness, strength, will power, love, patience, and concentration. The program will add meaning to life refining the person, freeing the mind from distraction and ridding the body of negative energy. 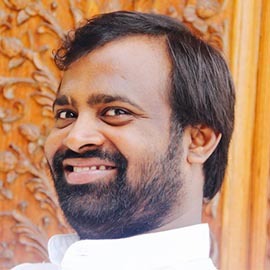 As a registered yoga school of global standards with years of experience in spreading the education of yoga, we completely level with the needs and comfort of a modern day yogi. And, so each of our students is well-facilitated in a clean and hygienic environment with all the basic amenities for a cozy stay with us. We also have round-the-clock medical facility at our premises as part of our health and precautionary measures for the welfare of our students. We provide our students with the ideal environment, resources, and privilege for deep reformation and balance. As a compassionate and dedicated yogi, you shall find the second home with us. Food As the saying goes; ‘Your health is your true wealth’; similarly a yoga teacher’s personality is not only judged or assumed by his/her knowledge in that respective field but also by their health and lifestyle. Enjoy fresh food prepared in a homely style that will put all your unwanted and unhealthy cravings to rest. A good meal is essential to keep your mind, body, and emotions at calm. ACCOMMODATION The ambience of the place is other most essential part of our yoga training. Rishikul Yogshala is based on lush green landscapes, cleanest beaches and scenic mountain areas. The classrooms are breezy with fresh air to practice yoga. 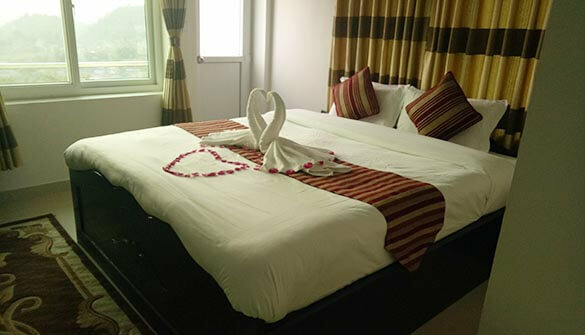 Rooms offer you all the basic amenities needed by a determined yoga student. The ashram ensures that you enjoy a comfortable stay apart from taking a learning experience. 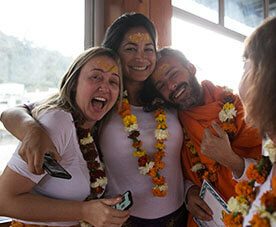 Peaceful environment with calm minded people is one of the highlights of the Rishikul Yogshala. WHAT TO DO AFTER 300 HOUR YTTC PROGRAM? After the completion of this course, you will be able to train and spread the knowledge of yoga with more confidence. You can also work as a yoga professional or teacher at leading yoga centers across the globe. Moreover, it will be easier for you to enroll for further categories of advanced courses after attaining a certificate of completion from the center board. You will experience a whole new lifestyle that is more positive and confident. Gain infinite knowledge and wisdom from revered Yoga Acharyas. Develop a sense of loving, sharing, and caring. Emerge as a finely tuned yoga teacher and instructor with the ability to conduct advanced yoga classes. An opportunity to meet advanced yoga practitioners and like-minded people. 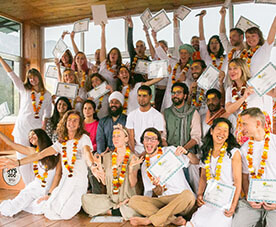 300 Hour Yoga Certification on successful completion of the course which rewards you with the privilege to teach yoga across the globe (awarded by Yoga Alliance). Undergo complete mental, physical, and spiritual transformation with this program. 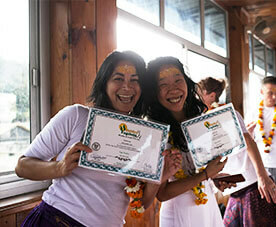 Become an eternal member of the Rishikul family and the humanitarian community of yoga.